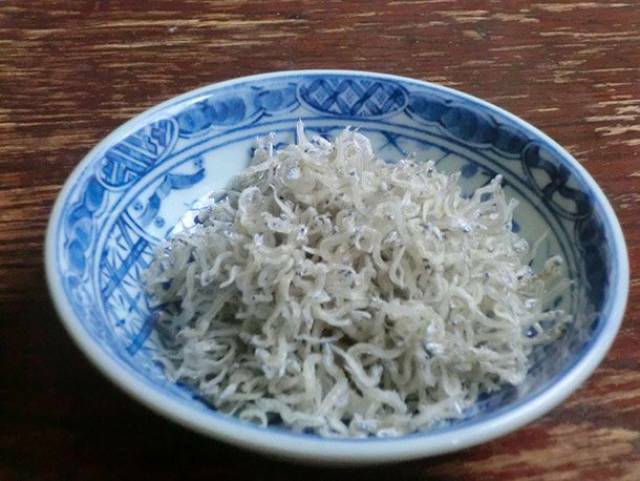 Grated Japanese Mountain Yam, also called yamaimo, is one of Japan’s most slimy and slippery of foods. People usually eat it raw in a soup with soba noodles; it’s said to be so slippery it’ll just slide right down your throat. It’s even been called “mountain eel” for its slipperiness. Torigai, also known as Japanese Cockle, is used frequently with sushi meals. It has a bitter taste hidden under a sweet smell. One significant challenge to serving it is that it has to be served fresh. First starting out of Okinawa, Habushu is an especially potent drink. Why? It involves dipping a poisonous viper snake in sake. Many brewers even leave the snake inside the jar it has been dipped in for effect. 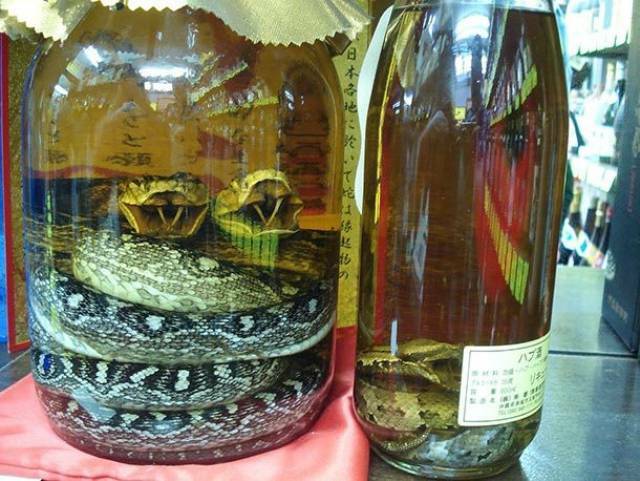 No need to worry about the venom; the alcohol makes it inert. 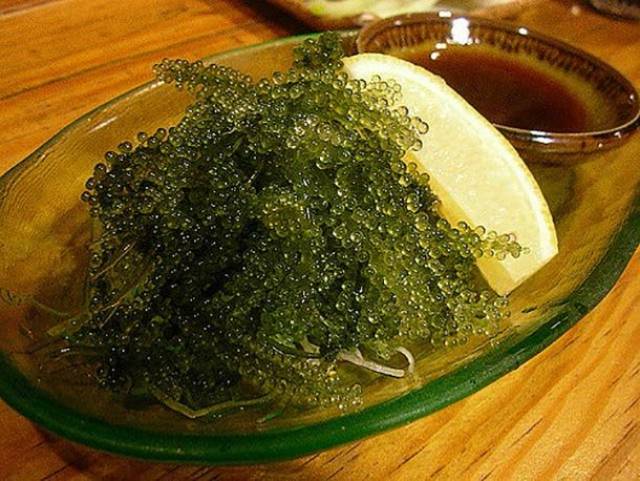 Translated as “sea grapes,” Umibudo is seaweed found in the Western Pacific from Vietnam to Okinawa. It has tiny green bubbles that break when you bite into them, releasing a taste of salt in your mouth. 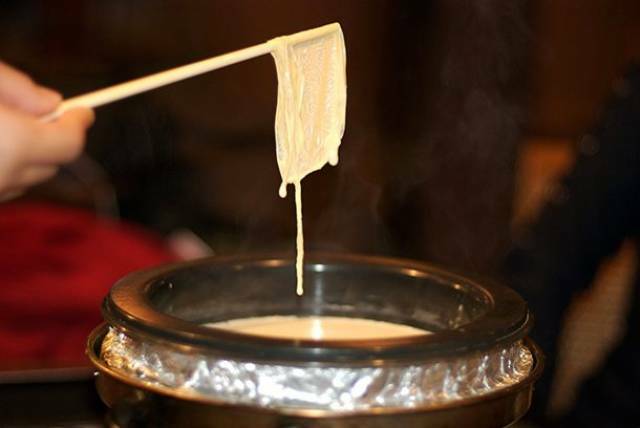 Yuba is similar to tofu. 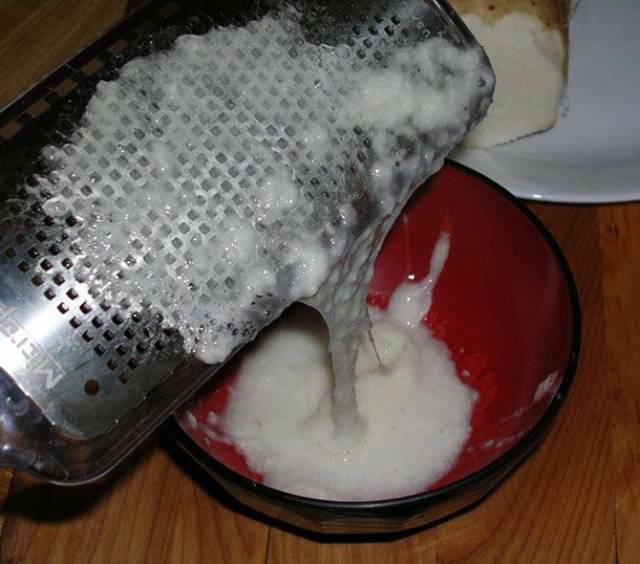 After soymilk is boiled, the residue is taken and made into a kind of skin. That skin is called Yuba, and like tofu, it doesn’t taste like much. 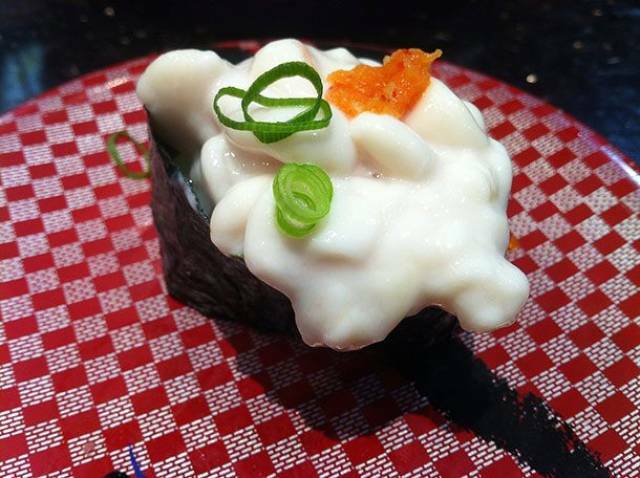 Boasting a high amount of Omega-3 fatty acids, Ikura is considered a delicacy in Japan and around the world. It’s essentially red caviar or fish eggs from a salmon. Most people want their food dead before they eat it, but that’s not the case for those that like Shirouo no Odorigui. 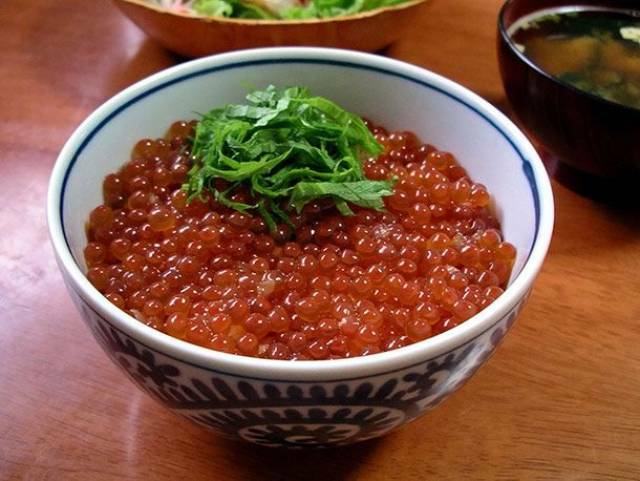 “Shirouo” is a type of small transparent fish and “Odorigui” is roughly translated, “dancing while being eaten.” Provided with the squirming fish is a quail egg that you crack and pour the yoke into the bowl with some vinegar. Then, bon appétit. Horse lovers may want to stay away from Basashi, or anyone who can’t stand to eat raw meat. That’s right, Basashi is raw horse meat. 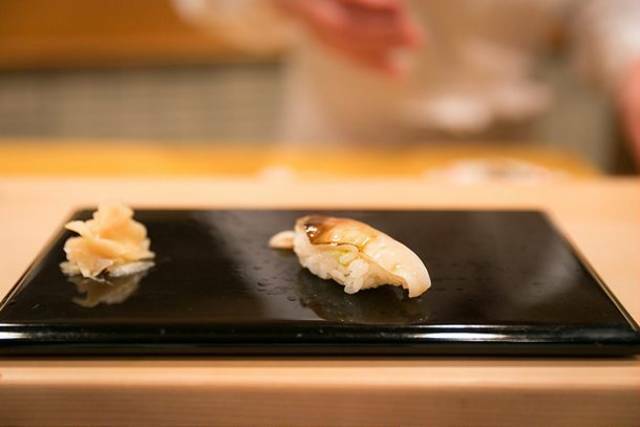 It’s usually served ice cold and can be dipped in soy sauce or Japanese horseradish. 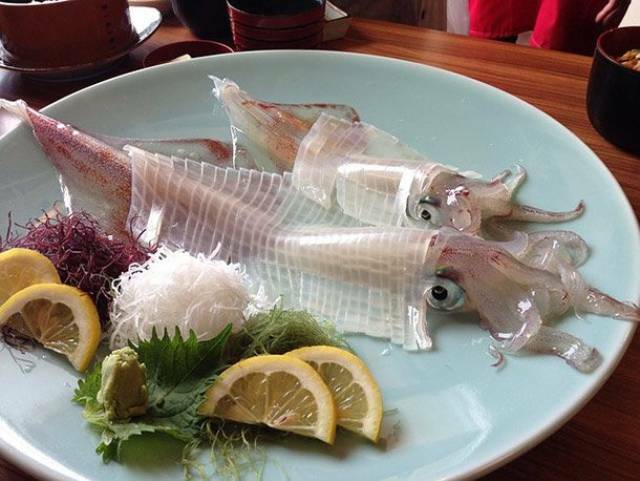 Usually served as an appetizer, Shiokara is tiny bits of salted and fermented squid that’s pickled in its own viscera. If you’re wondering what viscera is, we’ll tell you. It’s the creature’s innards. 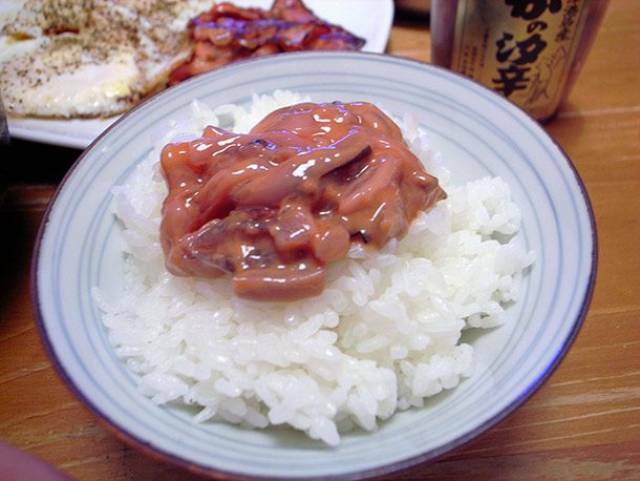 One dish served in Japan involves putting a small squid on top of a rice bowl. When the chef pours soy sauce on the squid, it appears the squid comes back to life and starts dancing. Of course, it’s not a resurrected squid but a reaction caused by the sodium chloride in the soy sauce. 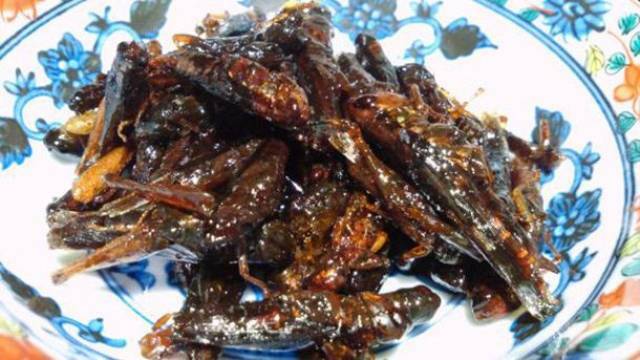 As an afternoon snack, the Japanese like to have Inago no Tsukudani, or rice grasshoppers cooked in soy sauce. 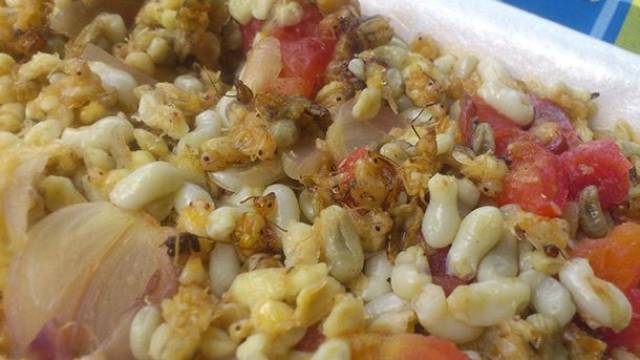 Bug-eating is very common in Japan, and other insects they eat include bee larvae, giant water bugs, and ants. 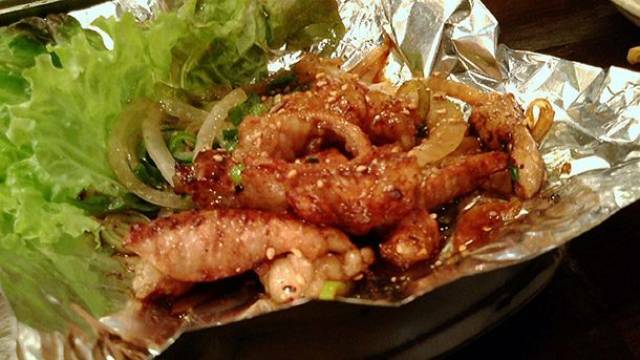 Nankotsu means “chicken cartilage” and is actually a separate food item for the Japanese. You know, rather than the thing you get rid of when you’re eating a chicken wing at KFC. 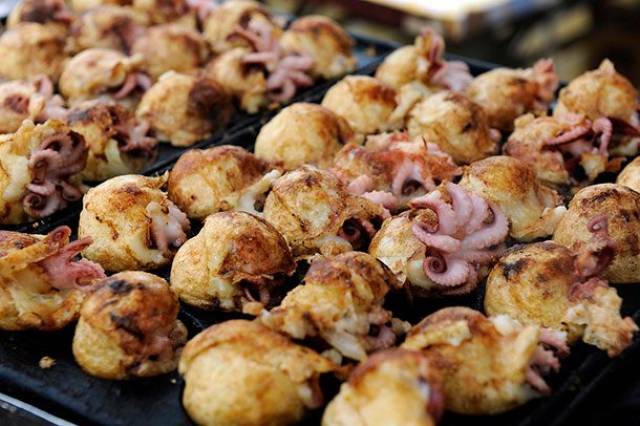 A popular food on the streets of Osaka is Takoyaki, also known as Octopus Balls. 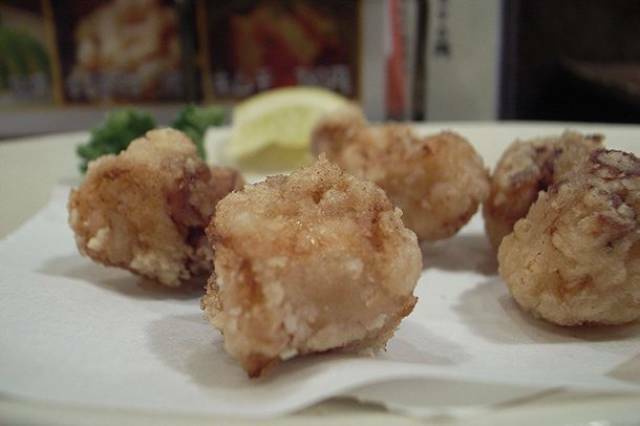 They are also called Octopus Dumplings and are fried with batter and served with takoyaki sauce. The last thing anyone wants is a bowl full of cold noodles except, of course, the Japanese. 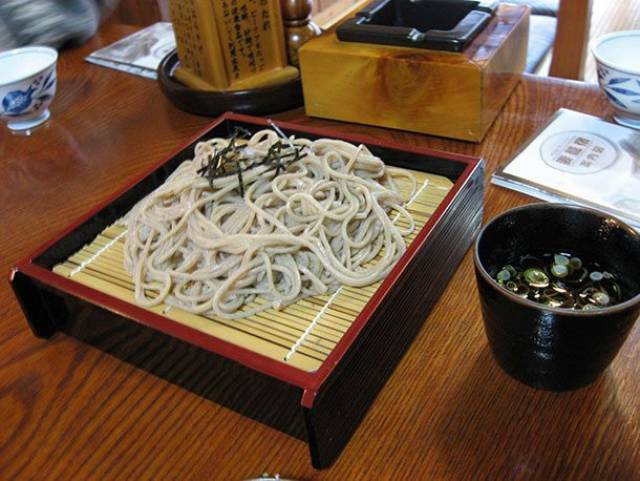 Cold soba noodles is a commonly served dish with green onions and wasabi and is considered refreshing during a hot day. 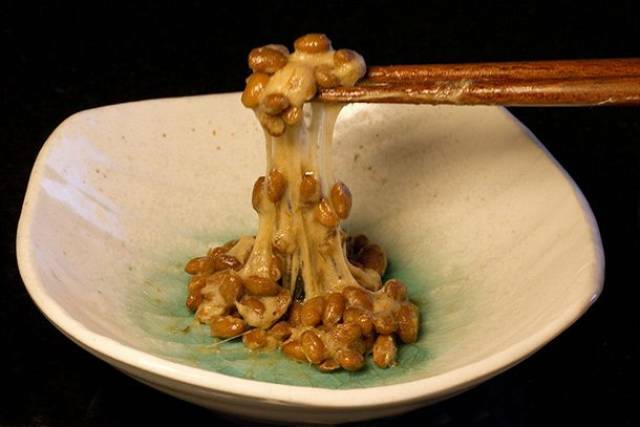 Nattō is a sticky, and rather smelly, soybean that the Japanese ferment. It’s fermented in rice straw and looks gooey and slimy by the end. Despite its many health benefits, not many people outside of Japan like it. 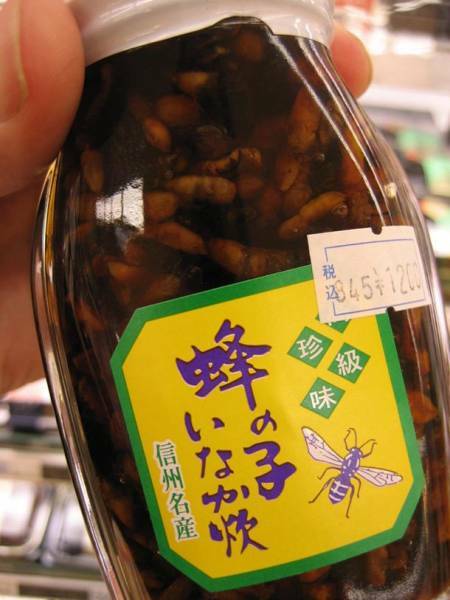 Remember when we said people like to eat insects in Japan? Well, Hachinoko, one of their delicacies, is baby bees. Supposedly, they taste very sweet and go well with plain crackers. 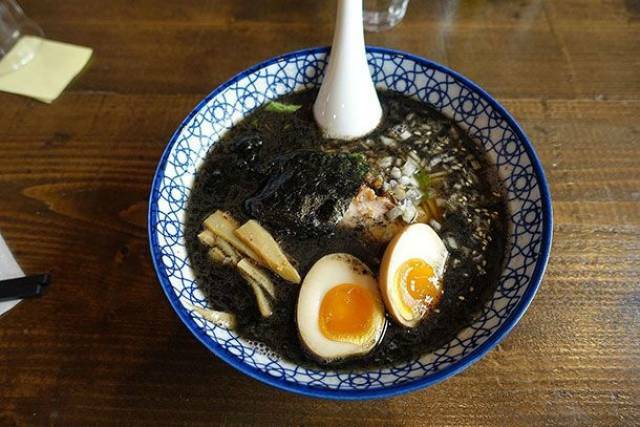 Known for their black eggs, Hakone also serves black sulfur ramen. Just like their black eggs, the ramen noodles are boiled in sulfur. They don’t look appealing at all, but supposedly they taste quite good. 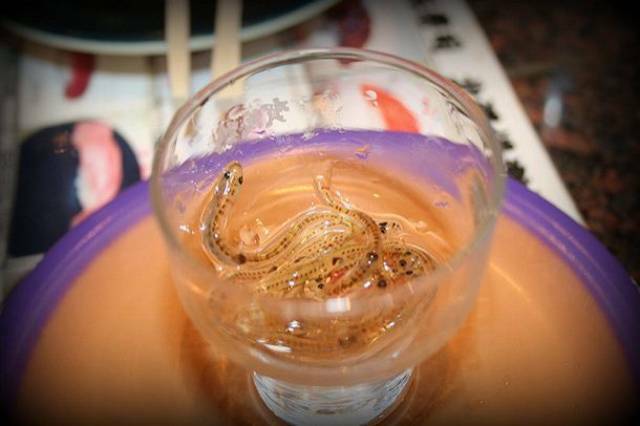 Zazamushi is the fun name the Japanese give for a group of larvae living at the bottom of a river. It can really be any kind of larvae of insects. And you better believe they eat it. Serving Fugu is serious business. If a chef wants to make it, they must get a license merely to serve the food. That’s because it’s a poisonous puffer-fish with tetrodotoxin, which is about 1,200 times more deadly than cyanide. Despite the health risks, people still eat about 10,000 every year. 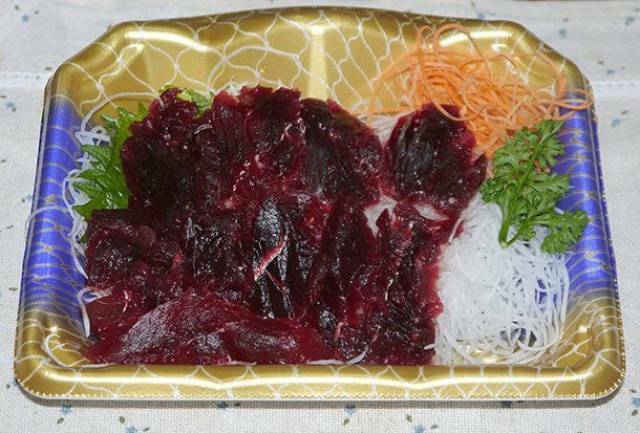 Kujira va Iruka is the delicacy also known as whale tale. While it’s served differently depending on the region, it’s usually diced and deep fried. 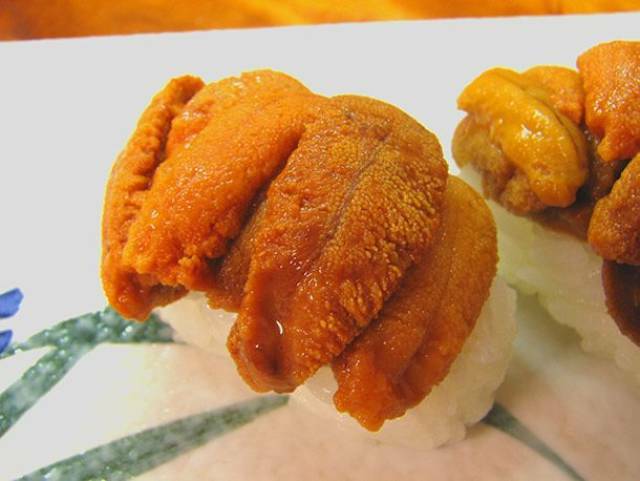 Sometimes confused as Mentaiko, Tarako is plain, salted sacks of pollock or cod roe. It translates as “children of cod” and is sold raw and packed together in a thin membrane. To some degree, Harumon is a mystery food. The word is used as a catch-all for animal innards, like a cow or pig. If you order it, you probably won’t know what animal it came from. 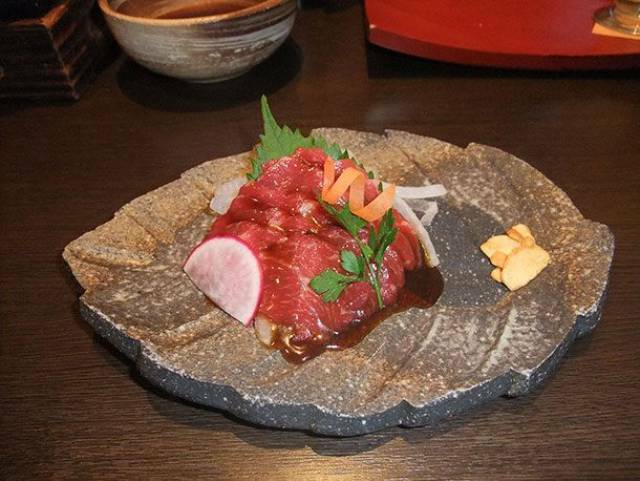 Shirako means “white children” and is served both raw and cooked all over Japan. 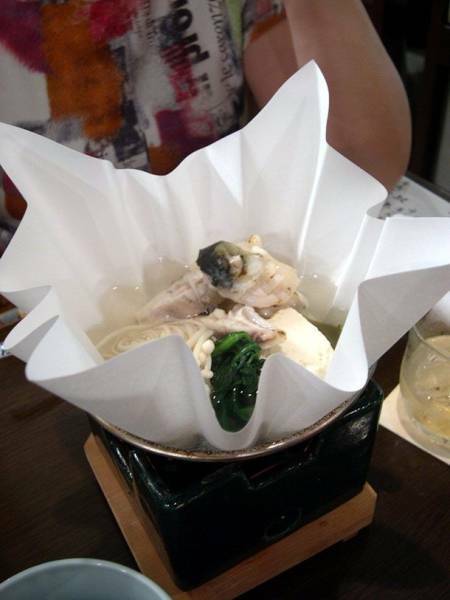 Many believe it to be an acquired taste, and since it is a cod’s sperm sac, that might be an understatement.